Getting up at 5:40am means I don't want to worry about making breakfast. Heck, I don't even want to eat it at that time. Something about shoveling food down before the sun rises is just not appetizing. BUT I know how busy my internship days will be and if I don't eat before I leave, I'll starve to death before my 1pm lunch. Therefore, a breakfast casserole I can bake ahead of time and pop in the microwave is perfect! The eggs, turkey sausage, and hashbrowns keep me fueled all morning and I get a dose of healthy veggies with bell peppers, onions, and garlic. It's a complete meal all baked up in one dish. That tastes pretty darn yummy if I do say so myself. As you can see, this recipe makes a pretty large amount, so it's great for families or for a meal prep day to last you through the week. Add the sausage to a medium saute pan. Cook over medium-high heat until browned, crumbling the sausage with a spoon as it cooks. Remove sausage and place in large bowl. Add the onion and bell pepper to the saute pan, and saute for 5 minutes until cooked. Add the garlic and saute for an additional 2 minutes until fragrant. Pour the vegetable mixture into the mixing bowl with the sausage. Add the hash browns and 1 1/2 cups cheese to the mixing bowl with the sausage and veggies. Stir to combine. Let cool 10-15 minutes so the eggs down scramble when you add them. In a separate bowl, whisk together the eggs, milk and black pepper until combined. Then add them to the hashbrown/veggie/sausage mixture, and stir to combine. Pour the mixture into an 8x8 or 9x9 baking dish, and top with the remaining 1/2 cup of shredded cheese. Cover with aluminum foil and bake for 20 minutes. Then remove the aluminum foil and bake for an additional 10-15 minutes and the top of the potatoes begin to slightly brown. Remove and let the casserole rest for 5 minutes. 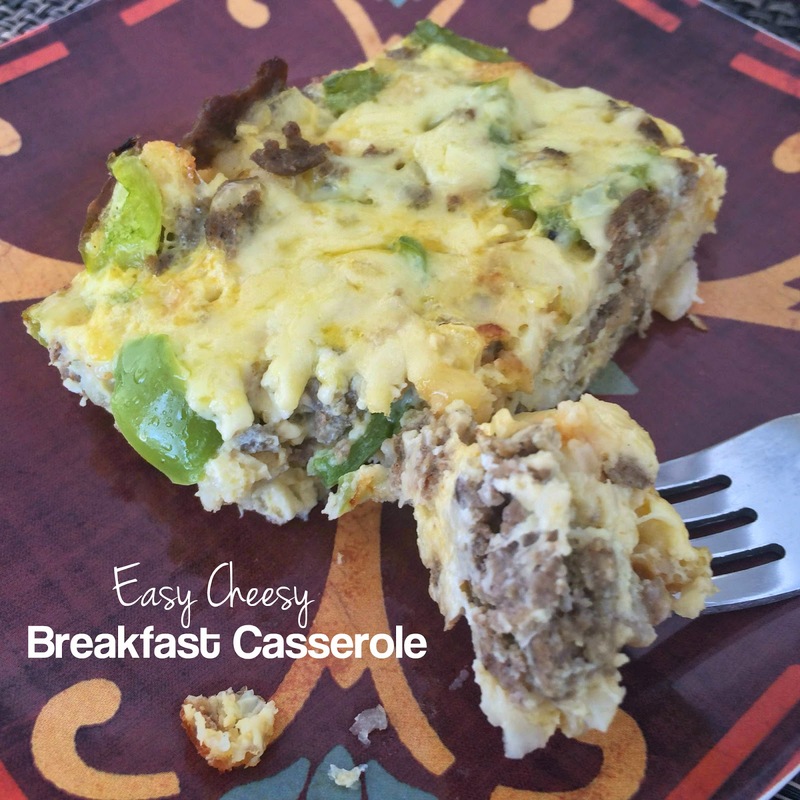 This breakfast casserole is PHENOMENAL! Its super easy to make and cut into portions to take with. I used turkey sausage instead of ground turkey because I didnt read the ingredients right when I was shopping, and it still taste amazing. The best thing about this: you can get your traditional breakfast all in one sitting and not have to dirty up 5 pans in the morning. Just mix it, and throw it in a casserole dish and let the oven do the rest.